Reacts to human RSK1 only when phosphorylated at Thr359/Ser363. 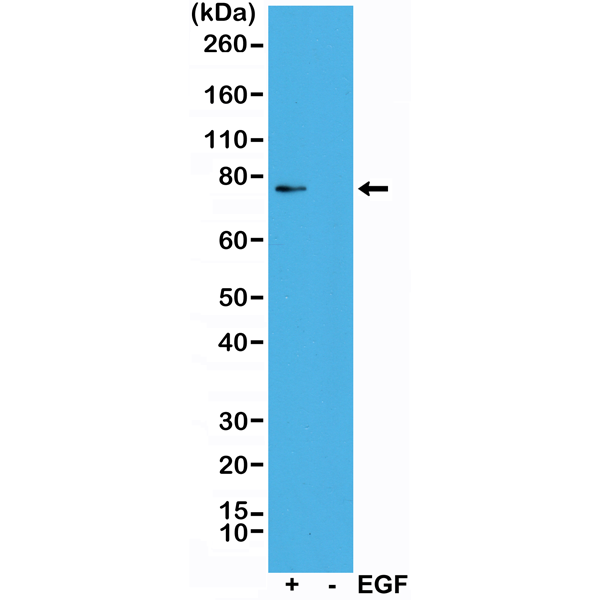 Western Blot of A431 cells treated (+) or nontreated (-) with EGF, using Anti-phospho-Rsk1 (Thr359/Ser363) RM233 at a 1:1000 dilution, showed a band of phosphorylated Rsk1 only in EGF treated A431 cells. 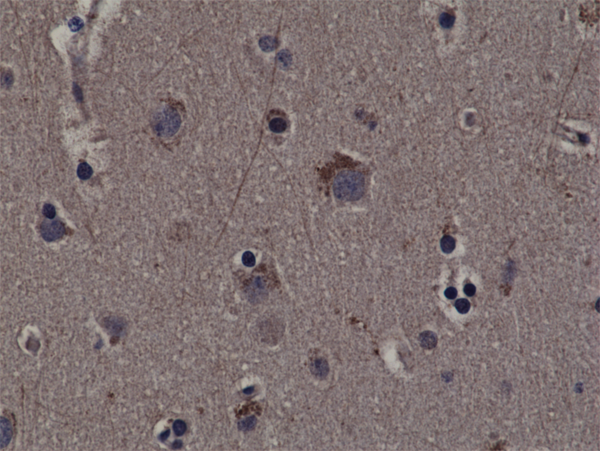 Immunohistochemical staining of formalin fixed and paraffin embedded human cerebral cortex tissue sections using Anti-phospho-Rsk1 (Thr359/Ser363) RM233 at a 1:200 dilution.